Glycogen synthase kinase-3b (GSK-3β) is a Ser/Thr protein kinase involved in diverse cellular effects including regulation of metabolism, embryonic development, and cell survival. GSK-3β has also been implicated in Alzheimer's disease progression through phosphorylation of the microtubule-associated protein tau. GSK-3 is also a critical downstream target in the Akt cell survival pathway. 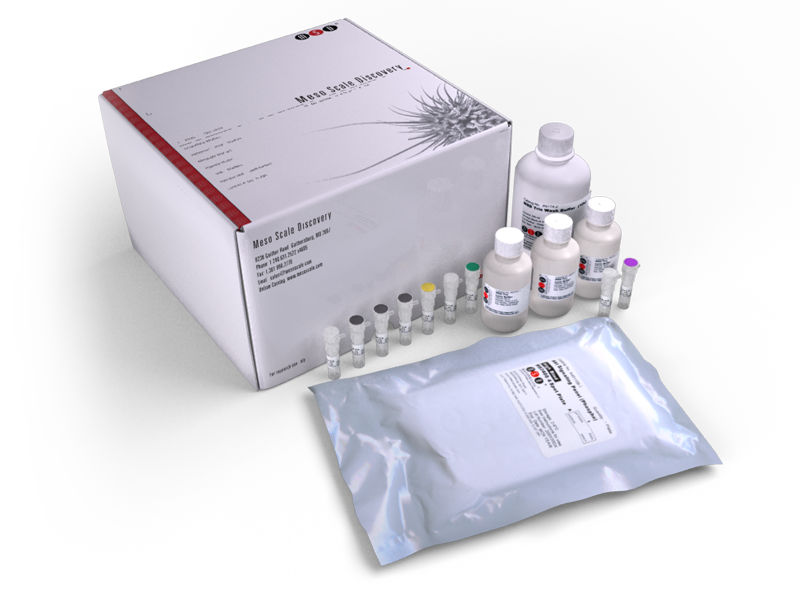 This kit provides assay-specific components for the quantitative determination of total GSK-3β in human, mouse, and rat whole cell lysates.